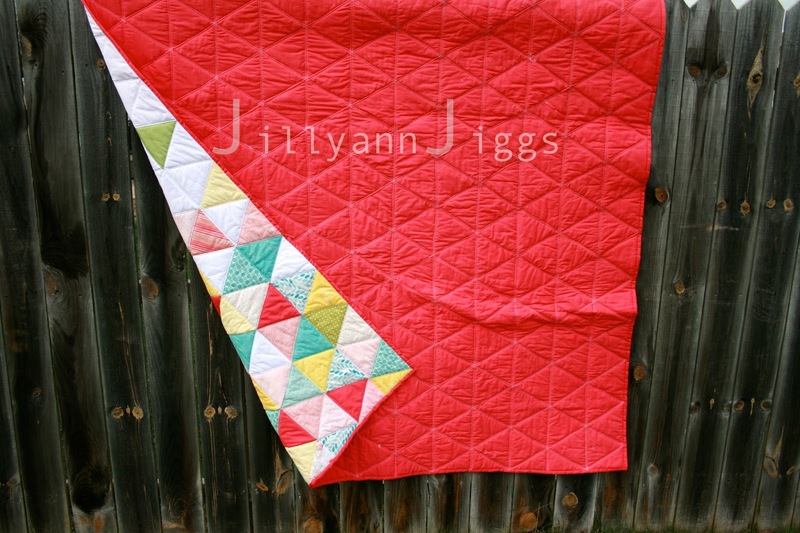 Here’s a project I finished around Thanksgiving…a new quilt for Pigg#2’s bed! I used a the same tutorial from Must Love Quilts that I used for my nephew’s baby quilt because I loved it! This time I made the heart taller. 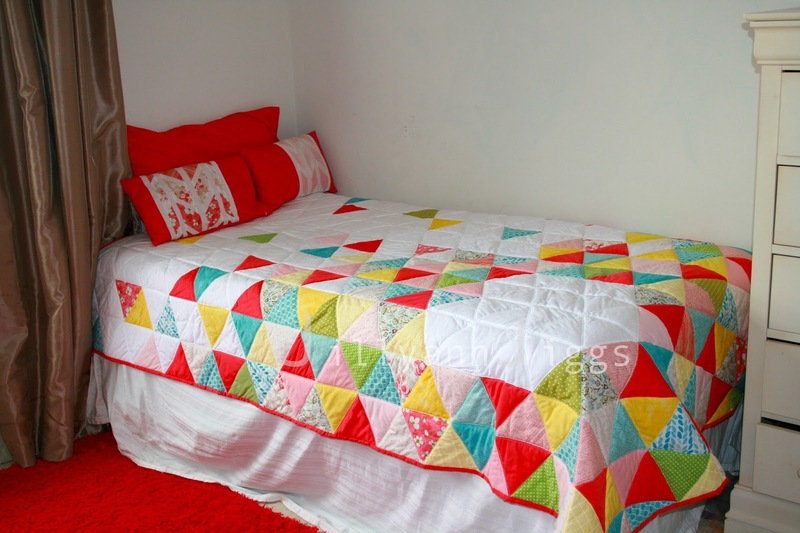 Originally, I planned to make puff quilts for the kids beds. I felt like they would be comfy and cozy and soft and great wonderful things! I even made two of them completely and posted about the pink one. I figured with three strikes agains the quilt, I should just admit that it didn’t live up to how I imagined it. I think it looks really nice on her bed. The scrappy, random look was challenging to me, but I like how it turned out.